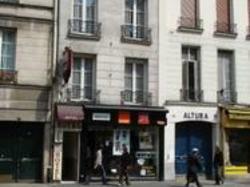 We are located in the heart of Paris in the Marais. Close to Metro St. Paul or Bastille. Quality service, a professional team and smiling. We advise you to find close to the hotel, leisure facilities this fashionable area: lively bars, good restaurants, theaters, discotheques, the Opera Bastille, the Marais, the Canal Saint-Martin etc..
Our rooms are equipped with shower, toilet, TV (satellite). You can dispose of a direct telephone line in your bedroom. Soon, the hotel will be equipped with the wifi for the convenience of our customers. It has rooms with a view of the Rue Saint-Atoine or courtyard.